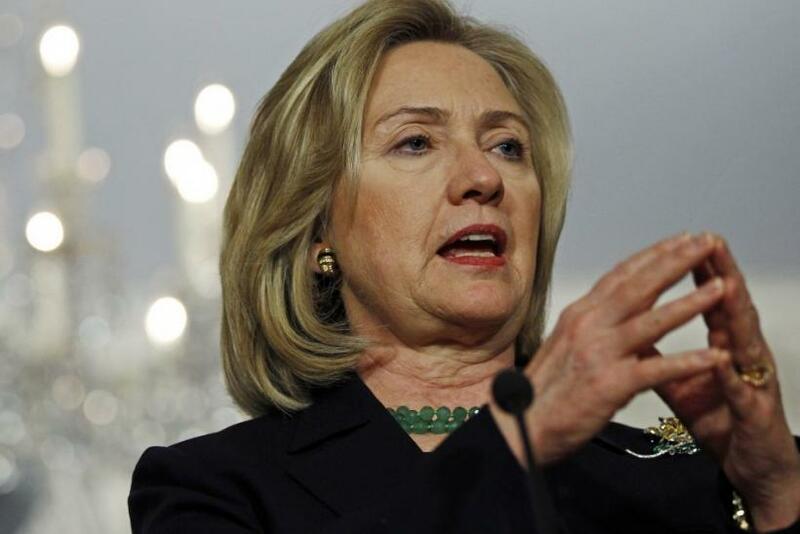 U.S. Secretary of State Hillary Clinton said on Sunday that the U.S. will not be entering the conflict in Syria the way it has entered the conflict in Libya. When asked if that was a possibility, she replied: No. Each of these situations is unique, she said in an interview Sunday on CBS' Face the Nation. Her comments on the program, where she also appeared with U.S. Secretary of Defense Robert Gates, came ahead of a speech on Monday evening by President Barack Obama, where he will address the U.S. role in Libya. Last week, the U.S. agreed to hand over the lead role of operations to the NATO coalition of nations and reduce its own involvement. While she said the U.S. deplores violence in Syria, she said the situation in Libya garnered concern from the international community because its leader, Muammar Gadafi, used military force against protestors across the country and threatened protesters. She also said Gaddafi has behaved in a way that caused grave concern in the past-forty-plus years in the Arab world, the African world, Europe and the United States. The program's host, Bob Schieffer, noted that Syrian leader Bashar Assad's father over the years, killed twenty-five thousand people ... at a lick. Why is that different from Libya, he asked. She noted that there wasn't an international outcry over Syria in the same way the Libya situation has unfolded, with no U.N. Security Council resolution, no call by the Arab League for action and no universal condemnation. I don't think that it's yet clear what will occur, what will unfold, she said. What's been happening there the last few weeks is-- is deeply concerning. But there's a difference between calling out aircraft and indiscriminately strafing and bombing your own cities, then police actions, which frankly have exceeded the use of force that any of us would want to see, she said.